Chelsea manger Antonio Conte has a busy few weeks ahead as he looks to build a side ready to take on the Champions League, having lifted the Premier League title in his first season as a manager in England. Whilst bringing in players will be key to the Italian’s plan, it is also crucial that he retains the correct current squad members. 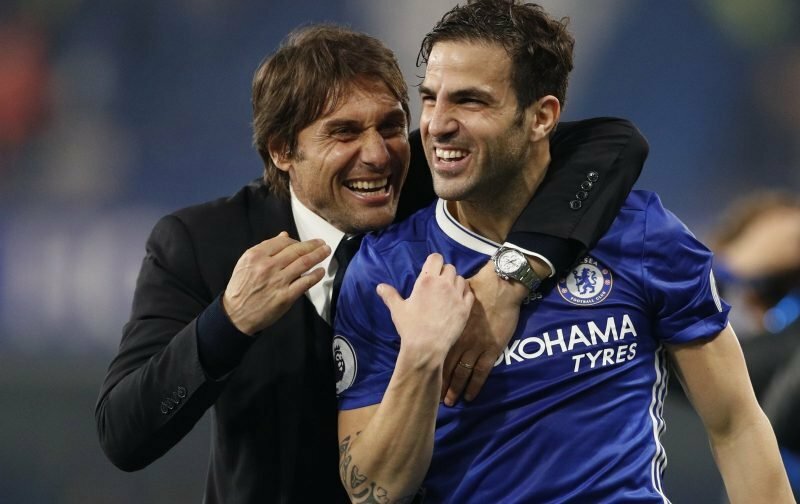 Having started the title winning season well out of the picture before becoming more and more central to the side as the campaign progressed, former Arsenal midfielder Cesc Fabregas was somewhat left in limbo. However, according to reports from The Express, Conte has assured the £29.75m-rated midfielder that he wants him to remain at Stamford Bridge for the new season. The 29-year-old became the first Spaniard to rack up 300 Premier League appearances earlier this season and also surpassed 100 assists, quicker than any other top flight player, in creating two goals on New Year’s Eve.